Here's a book review I wrote over on my other blog, Binaryblogger.com. 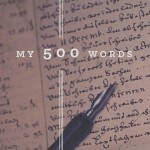 I copied it here because it's a book review and is relevant to the art of writing. 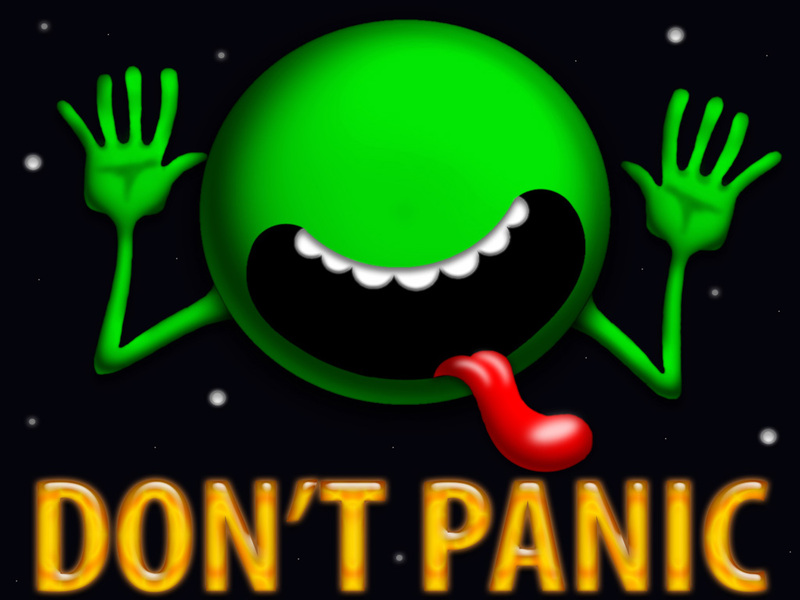 Here are my thoughts around the book The Hitchhiker's Guide To The Galaxy. That's right, after 30 years I finally got around and read the darn thing. I succumbed to the hype, the praise, the massive cult following. This book somehow became the entry book to geekdom or something. I was reading so many political thrillers, reference books on IT Security practices and non-fiction I needed a break before I tackled the 1000+ page Shift Omnibus. I opened it up on my Nook GlowLight eBook Reader and began. Spoilers ahead, don't worry, you aren't missing out on much. A little background, I have started this book many times since I was a kid. I always seemed to make it to the destruction of Earth to where Ford and Arthur make it to the ship and then I stop. Reading it this time, determined to finish it, I understood why I gave up so many times before. The book isn't that funny. It has promises of humor and in some places it is witty, but the English (England) style quips and short bursts of quasi-intellectual banter gets old really fast. Reading this book was like watching a child play jacks. Focused on the jacks laying on the ground then out of the blue comes a bouncing ball distracting you for a little while then back to the jacks. At times I wonder if Douglas Adams made this book up as he went along and yes I know it was a radio show before the book. That might explain the transition to novel form wasn't as smooth as it could have been. I can understand why some people would like this style of books and stories but not me. I will give it credit though, if you take away the characters and attempt at humor, the underlying story is not bad. Planetary destruction, political turmoil, an all powerful hyper-intelligent computer, and a very powerful spacecraft. But unfortunately it wasn't that way. By the end of the book I wished all the characters did what Marvin made the computer do. Every character was annoying, whiny complainers, shallow and one-dimensional. The only character I found that had some promise was Trillian and that was because she spoke the least and when she did she was all business. I seriously doubt I will continue and finish the self-proclaimed 5 book trilogy (so witty). Like anything I am only one person with my opinion and I didn't care for it. If others love it, great. We are both right.